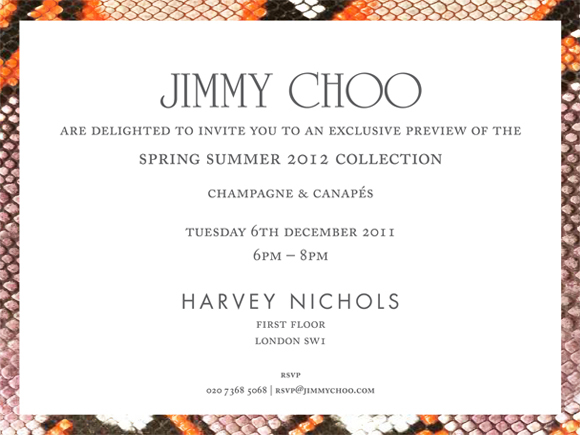 Tonight at London's Harvey Nichols store, the Jimmy Choo SS12 collection is available to preview on the first floor of the store. Champagne and Canapes will be served whilst you view next season's collection. It is the prefect way to beat the cold winter blues. thank you dear! I'd like to appera on your column! aww, ur so cute ! !